← Could you please spell Oktoberfest with a “K”? My last installment was the Hancock Historical Museum and Back Street Festival. Up this week is Columbus’ Franklin Park Conservatory. I love glass art and glass blowing. I loved blowing my own glass, too, when I had the chance during glass classes at Bowling Green State University. When I studied abroad in Salzburg, one of the places I most wanted to visit was Venice, because of its history of glass. 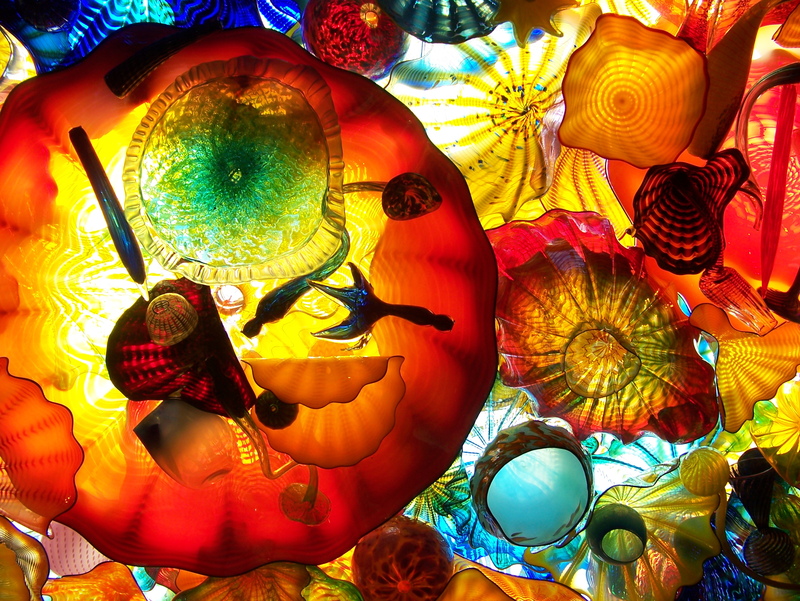 When someone asks me what I want to see in Washington, my answer is Tacoma, not Seattle, because Tacoma is home to the Museum of Glass. I could sit for hours while mesmerized by glass artists at work, which happened for a bit at the Franklin Park Conservatory. 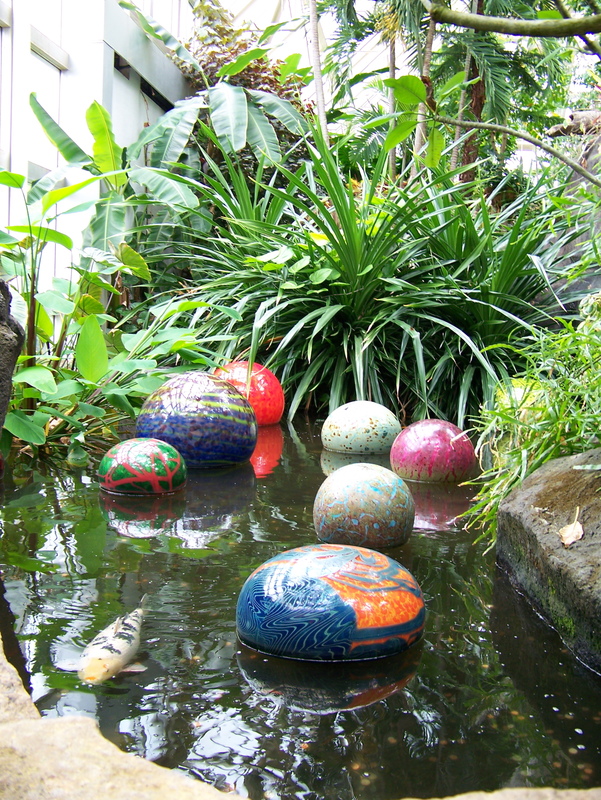 What attracted my attention to this museum of gardens was that Dale Chihuly had just held an exhibition there, and many of his indoor pieces of blown glass were left on display, interacting with the plants, animals and water in exhibits. On display are pieces somewhat shaped like plates that make up the “Persian Ceiling,” spikes of “Green Grass,” floating orbs and a variety of chandeliers. 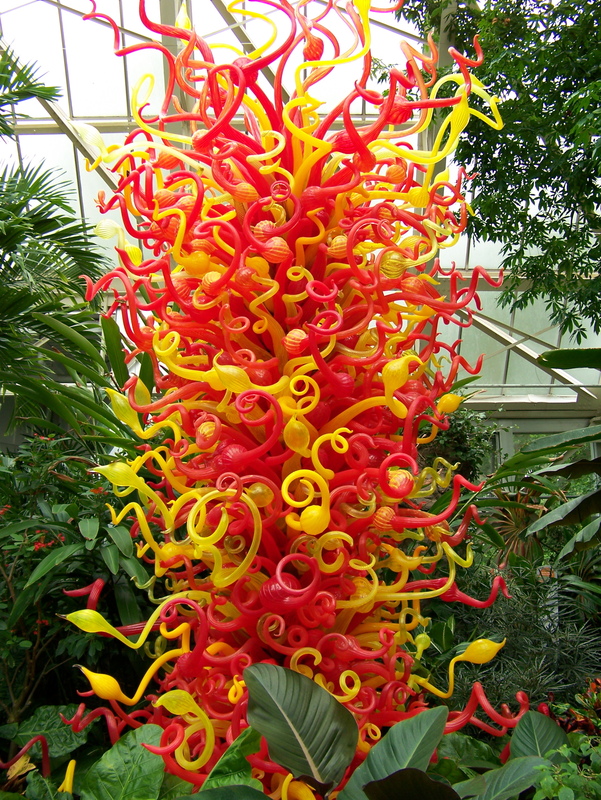 To see more photos of Chihuly glass at the Franklin Park Conservatory, click the photo below. This entry was posted in Europe, North America, Photos, Saturday Spotlight, U.S. and tagged Art, Flowers, Glass, Museums, Ohio, Photos, Planning a trip, Travel, Washington state. Bookmark the permalink. I love the pictures! All of the glass is beautiful, but I thought the grass was especially cool! Thanks! That was a good day for photography. My favorite piece was the chandelier with the silver orbs.